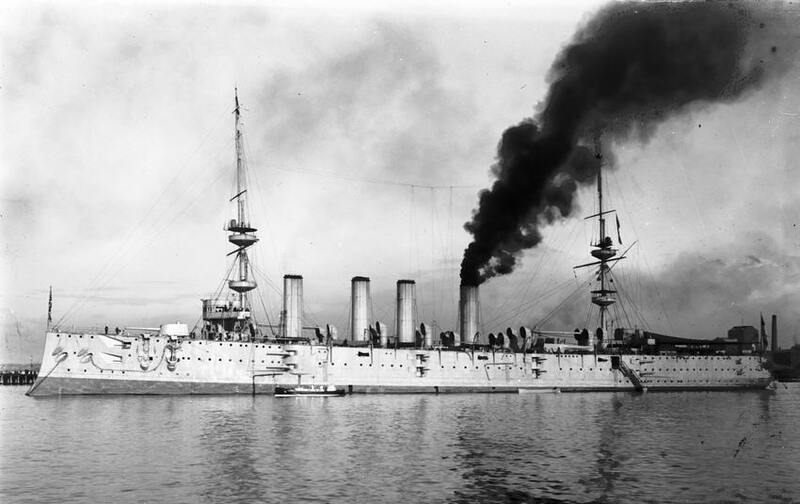 This picture shows one of the two Powerful class cruisers (HMS Powerful and HMS Terrible) after their 1902-1904 refit. Originally the ships had six 6in guns on each side, four in two-storey barbettes (front and rear) and two in single storey barbattes (the central two), but in 1902-04 two extra guns were added to the central barbettes, producing the arrangement seen here with four two-storey barbettes. Many thanks to Paul Horton for providing us with this picture.